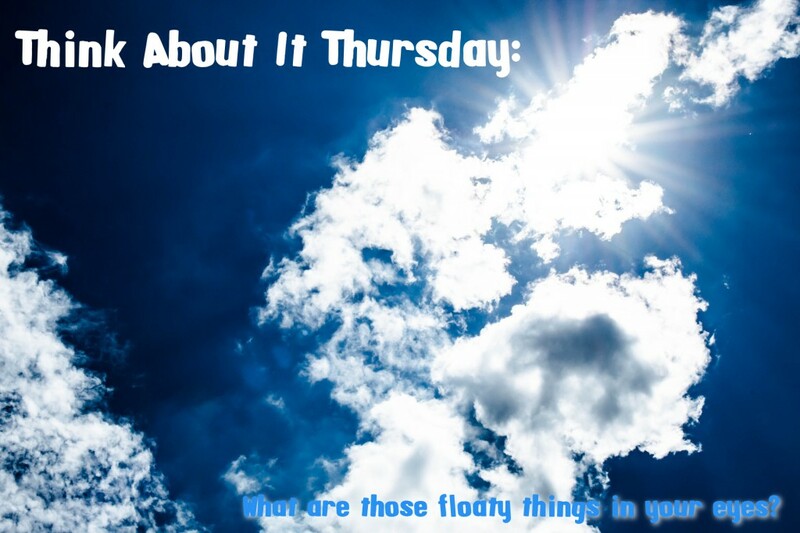 Think About It Thursday: What’s Are Floater’s? Sometimes, against a bright background such as a clear sky or a blank computer screen, you might see things floating across your field of vision. What are these moving objects, and how are you seeing them? Perhaps you aren’t seeing these floaters when looking into the bright sky but instead are seeing tiny dots of light? Well these little flashes of light are known as Blue Field Entoptic Phenomenon. These moving dots are actually white blood cells in your eyes. They are flowing in the capillaries in front of your eye’s retina. These blood cells can’t absorb the bright blue light, which creates gaps in the blood column. Later these gaps appear like elongated moving bright dots to your eye sight. This disorder is also called “Scheerer’s phenomenon”. It’s not dangerous at all and is in fact very common, but most people don’t even notice it if they’re not paying attention to it. You’ve probably experienced it numerous times without realizing.